Restaurants include The Chandler Steakhouse, Cal Mare, Topgolf Swing Suite, TAP Sports Bar, South End Market, Kringle Emporium, Cal Mare Pizza Counter, and Starbucks. Nightlife options include Commonwealth Bar and Lounge, The Konx Bar, and Lobby Bar. 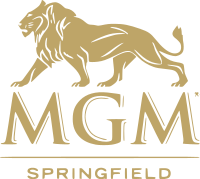 To visit MGM Springfield's featured jobs on Casino Careers please click here.